Modern contemporary chocolate grey styling. One central glazed vision panel, raised mouldings both sides. Full width flush panel. 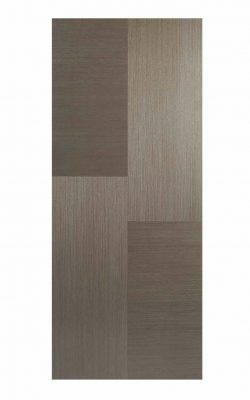 Decorative contrasting woodgrain pattern. 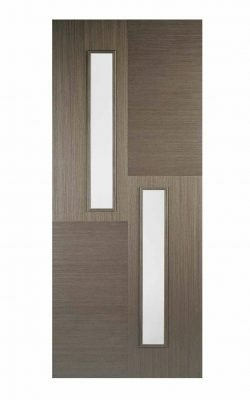 Available as a Fire Door (44mm) version and as a standard variant and a 2-light variant. Chocolate Grey Hermes Glazed 1L. 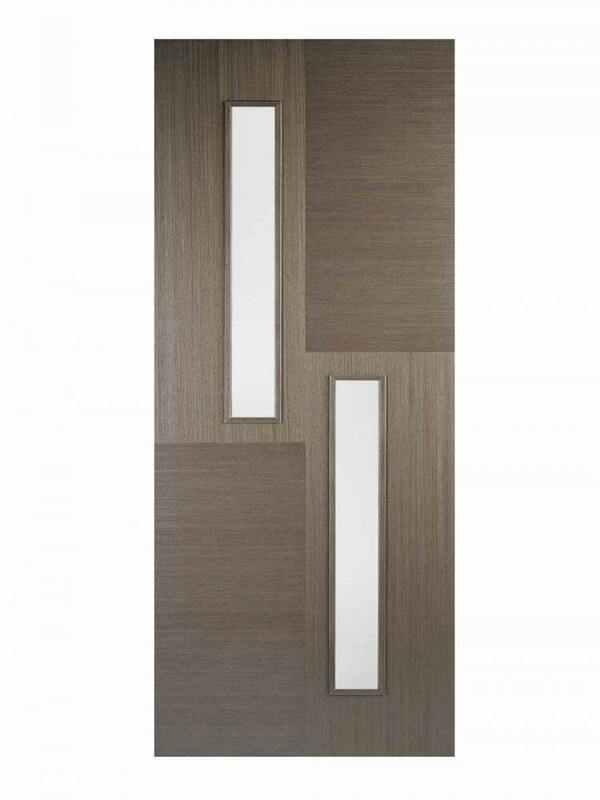 This Hermes door features one central clear glazed panel. Pre-finished Chocolate Grey asymetric wood grain patterns and raised mouldings. 1 Light with Clear Glass.